This figure represents 15 percent of the nation’s total population, followed by the capital Vientiane with a population of at least 850,000. Champassak province is home to the third largest number at over 600,000 people, while in fourth place is Luang Prabang province with a population of over 400,000. Although Savannakhet is now confirmed as having the largest population in the country, the population density is less than in Vientiane. Unlike the capital, the majority of people in Savannakhet live in rural areas, relying on agriculture for their income, so the provincial capital is relatively quiet. Savannakhet still has a small population compared to provinces in other Asean member countries. In Vientiane, if foreign expats and Lao people from other provinces living here are included in the figure, the population could be one million or more. 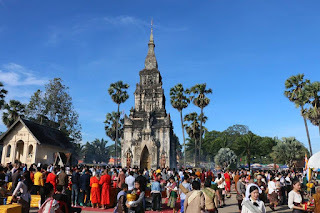 Savannakhet is also the largest province in Laos in terms of land area, measuring 21,774 square kilometres, and having a population density of 43 people per square kilometre. The province has 15 districts, with Kaysone Phomvihane district being the capital. Seventy percent of the land is flat, making it suitable for agriculture and the production of crops and livestock for export. 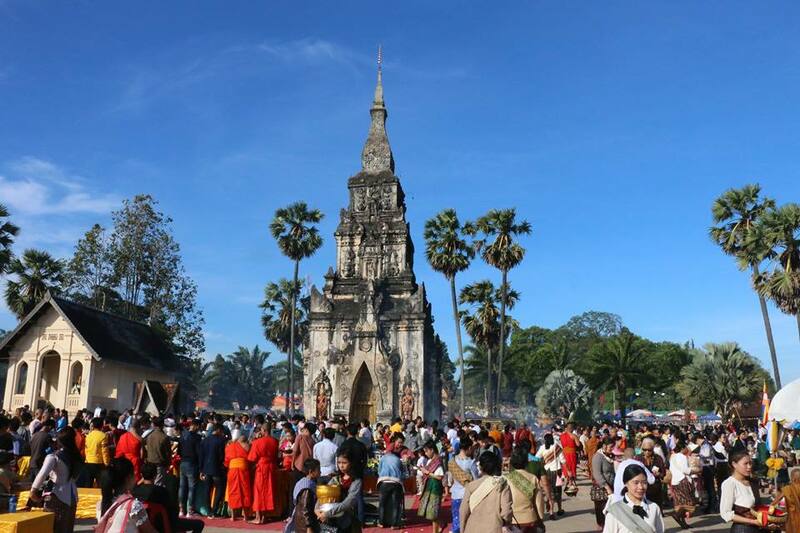 Deputy Director of the provincial Department of Planning and Investment, Mr. Kongkham Xaypanya, told Vientiane Times that Savannakhet has about 600,000 people in the 15-60 age bracket, which is good news for the economy. “More people means a potentially larger workforce but our challenge is how to train people and give them the skills they need to contribute to the socio-economic development of the province,” he said. Another challenge is that as the population increases, the province may need to build more infrastructure and provide more facilities to meet people’s basic needs, including electricity and water supplies. Even though Savannakhet province has a growing industry sector, many people continue to cross the border to work in Thailand, hoping for higher wages. Another factor driving this trend is that Laos shares a long border with Thailand and the two countries have similar languages and cultures. Savannakhet province is located in central Laos, linking Laos to Vietnam and Thailand through Road No. 9. Due to its strategic location, some foreign companies investing in the region have relocated their factories to Savannakhet, generating job opportunities for local people.